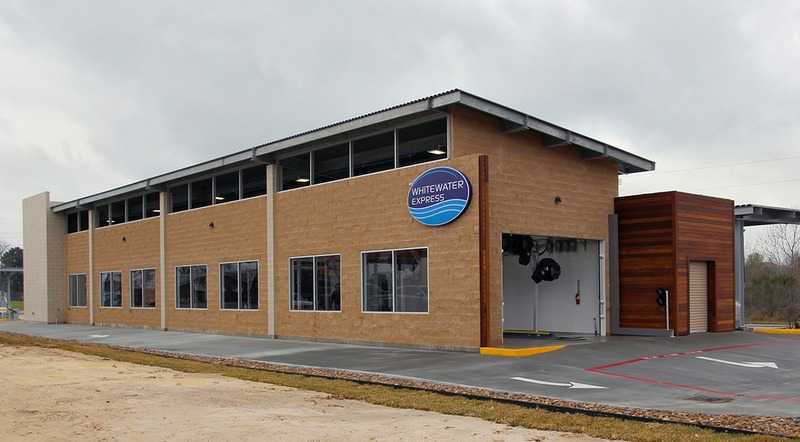 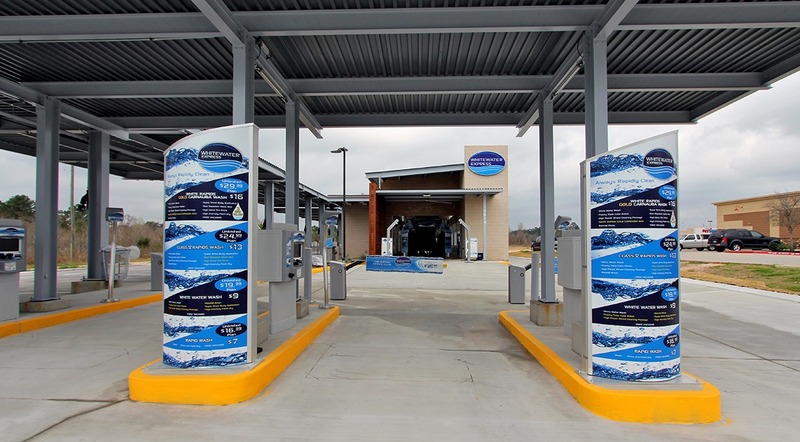 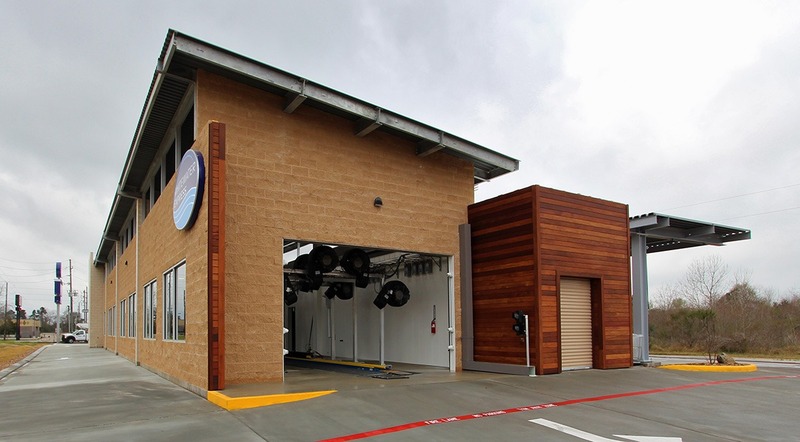 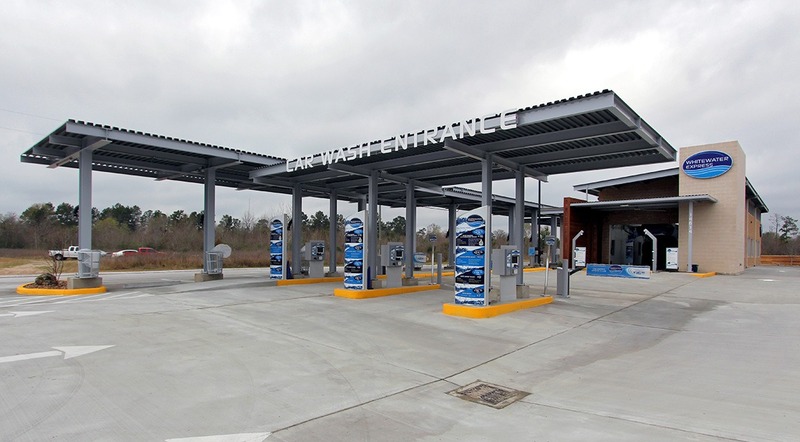 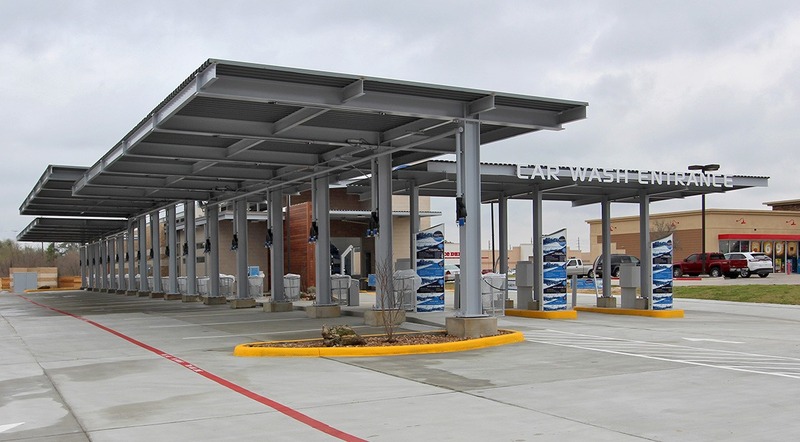 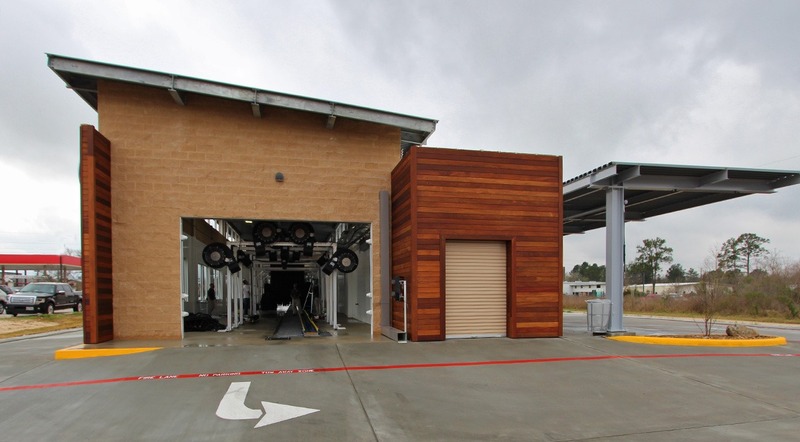 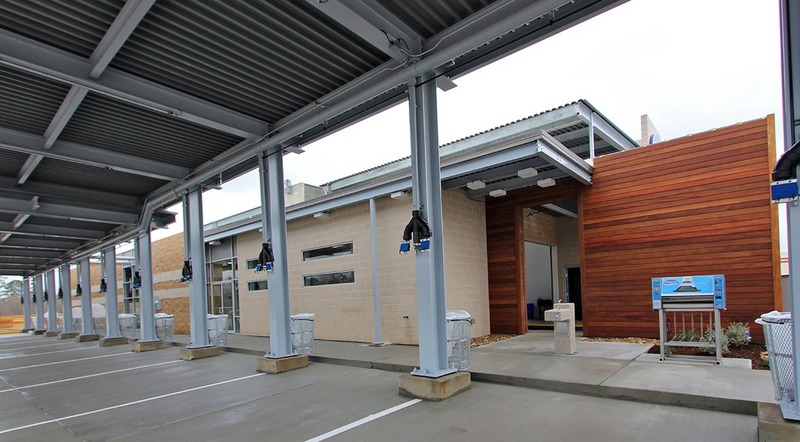 The WhiteWater Car Wash project shows that even utilitarian buildings can be well designed and look great. 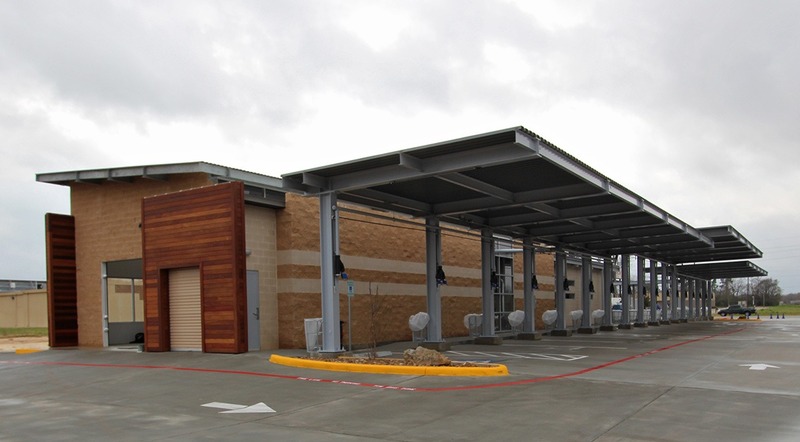 The building design is both contemporary and playful, utilizing a number of materials including exposed steel, split face CMU, and stained wood planks. 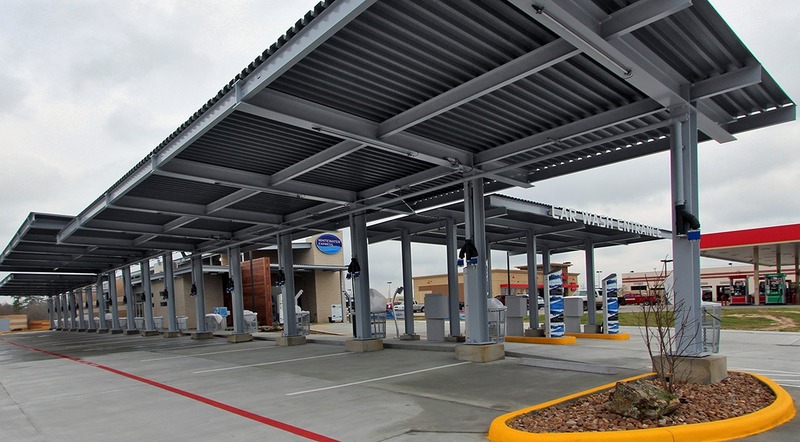 The canopy structure is designed with single column supports and large cantilevers to maximize the ease of traffic circulation in and around the site.